All of my photos are a bit washed out, and none of them showed the eye detail in just the right way, but... I guess that's what you get every now and then when you are your own photographer! My goal with this makeup look was to keep it neutral all around, yet not boring... Since sometimes that's the way I feel when I go neutral from face to eye to lip. However something about this look is just a little bit glamorous. I think it comes from perfected skin, an eye that's defined *just enough*, and a glowing lip. Just started reading a new beauty book- About Face by Scott Barnes. LOVING IT so far & plan to do a beauty book library video once I finish it. I've learned so much through books by makeup artists. Tyler bought me a Mello Yello Zero yesterday. He insists it's better than Mt. Dew... I'm not so sure. Planning to make some avacado salsa soon. woop woop! I will definitely be checking out the Lorac Liquide Lipstick! Very very pretty! Are the baked Wet n' Wild shadows still available? May check out the mascara since I'm always on the hunt. Beautiful look! The Lorac lipstick is fabulous. is Avocado Salsa similar to Guacamole? I love a well done neutral face. Some ppl don't put enough on and call it neutral. Thanks for all the tips Emily. I love your blog and your videos! God bless you. Very pretty! Can't wait for your review on the WnW baked shadows! Very pretty look..I hear a lot about that foundation and really want to try it. i seriously just love watching your videos! your one of those gurus that is just so enjoyable to watch! and i love this makeup look! your so pretty! Love this look on you the Lorac Lipstick looks amazing on you! I LOVED the Neutrogena Health Skin Fdtn, but it did not love my skin! Lovely look! I love Maybelline Define-a-Brow, one of my fave eyebrow pencils & underrated. The Wet 'n Wild blush in Pearlescent Pink is my go to blush for every day. I absolutely love it. I'm glad it's growing in you. I hope you learn to love it as much as I do. BTW, I love this look. You look great! Please please please do a beauty book library video! 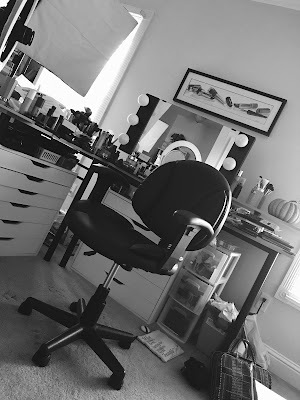 I love your videos and I am just getting into make-up and I want to learn so much more. I would love to see a review and application of just the mally poreless perfection foundation! Love your blog and YouTube channel!!! I also have the bake off contest palette from wet n wild. 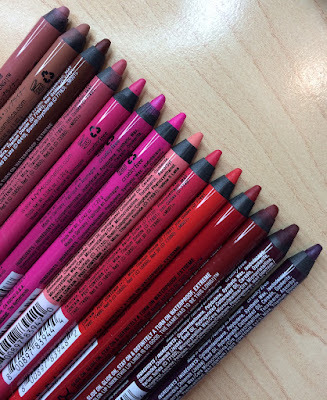 I was wondering if you know if any of these shades are dups for high end products? I figured you would know with the extensive collection you have. Summer will be here before we know it and I would like to get more use from this palette.